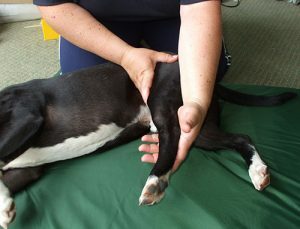 A number of hands-on techniques can be utilized to reduce muscle spasm, provide pain relief, improve joint mobility, reduce soft tissue adhesions, mobilise deep structures, and heighten proprioception. These can be used individually or together as part of a rehabilitation package. Myofascial Release is a hands-on gentle massage therapy, applying sustained pressure into the fascia. As this is the connective tissue that provides support and protection for most structures in the body, it is important to keep it healthy and stretched. Damage to the fascia can lead to dysfunction causing adhesions, inflammation or scar tissue and because it runs throughout our bodies, it can cause referred pain in other areas. This treatment is effective on problems within specific muscle groups. A trigger point can both shorten and/or weaken a muscle. It usually lies within a taut band of a muscle and prevents that muscle from reaching full length. By locating and applying consistent pressure, the adhered muscle fibres will spread apart and the trigger point will refer the pain. The muscle is then stretched to its normal range. Joint mobilisation involves moving joints through their normal range using graded passive movements. This can lead to increased mobility at a specific joint (either spinal or peripheral), increase proprioceptive awareness, decreased pain, and reduced muscle spasm. 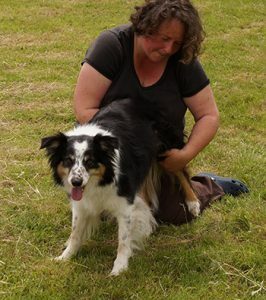 The techniques used in joint assessment and mobilisation are therefore very effective in the treatment of painful arthritic joints (spinal or limb) and any injured joints which would also include damage to cartilage, ligaments, muscles or tendons. Passive Stretches and Range of Movement Exercises. Relieving muscle spasms after injury. Preventing muscle fatigue and soreness when used in ‘cooling down’ after exercise. Lengthen and increase the elasticity of muscles. Prevention of scar tissue adhesions immediately following injury. Preventing joint contracture and soft tissue shortening. Increasing lymphatic and blood flow. Increase production of synovial fluid in the joint. The best time to start this is as soon after surgery as possible.